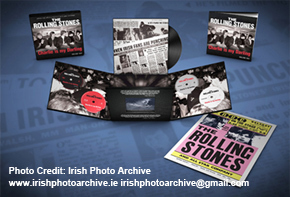 ABKCO Films is proud to join in the celebration of the Rolling Stones 50th Anniversary by announcing exclusive details of the release of legendary The Rolling Stones Charlie is my Darling – Ireland 1965, the cinematic debut of the band. This new cut of the film features newly discovered, never-before-seen or heard performances and will be released in Super Deluxe Box Set, Blu-ray and DVD configurations worldwide on November 6 (or 5 in the world excluding N/A). © 2012 ABKCO Films. All Rights Reserved. Please enter your email to get free song. By doing so, you agree to receive occasional updates from ABKCO.